Imagine having a beautiful fully-equipped lodge at a 188-acre wildlife retreat overlooking a lake for an entire long weekend. 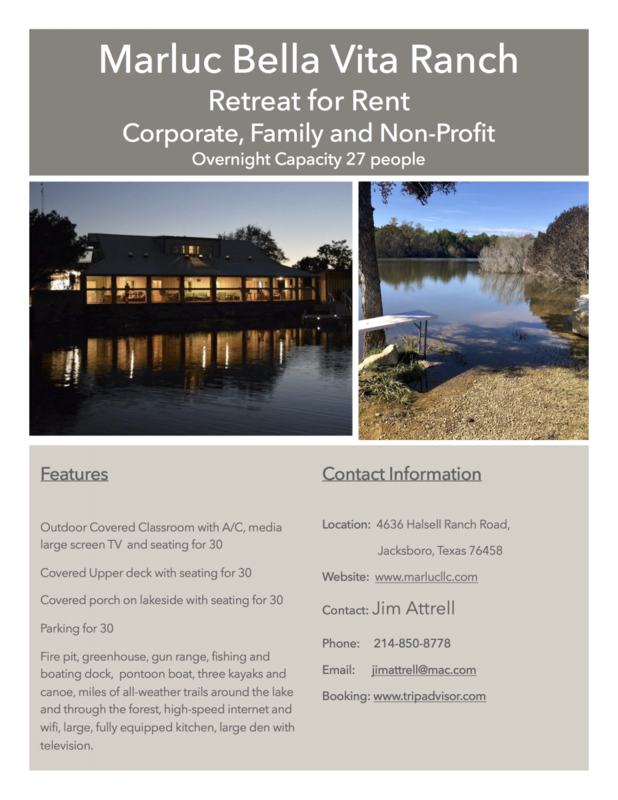 With room for 27 guests, we are discounting the cost of your family, non-profit or corporate (three-night) retreat to just $1,790.00 for the basic package for remaining long weekends in 2019. Catering, ATV, Golf Cart and Pontoon Boat available at added cost. This offer will expire when every long weekend is booked for the year. Book at Trip Advisor for two nights and the extra night will be automatically added.